The second season of Shinryaku!? 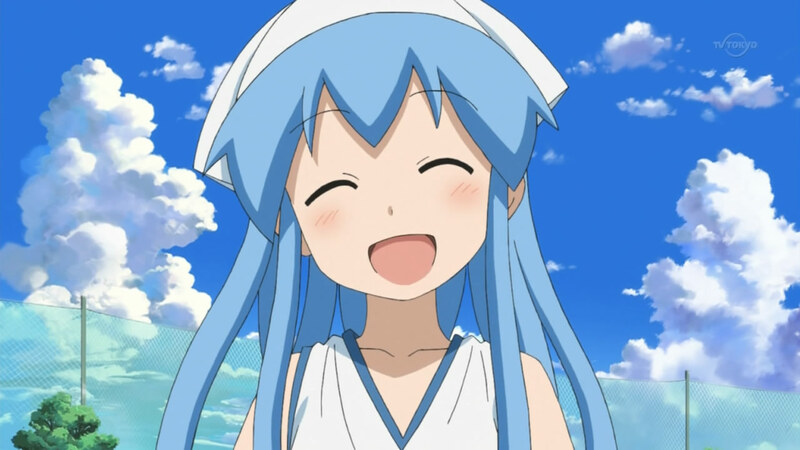 Ika Musume retained the same charming, soothing, and above all amusing themes from the first season. But unlike the first season which needed to build its world, mold its characters, and establish central themes, this anime had a foundation already completed and went from there, almost like a baton was passed from season one to season two for it to complete what was started. 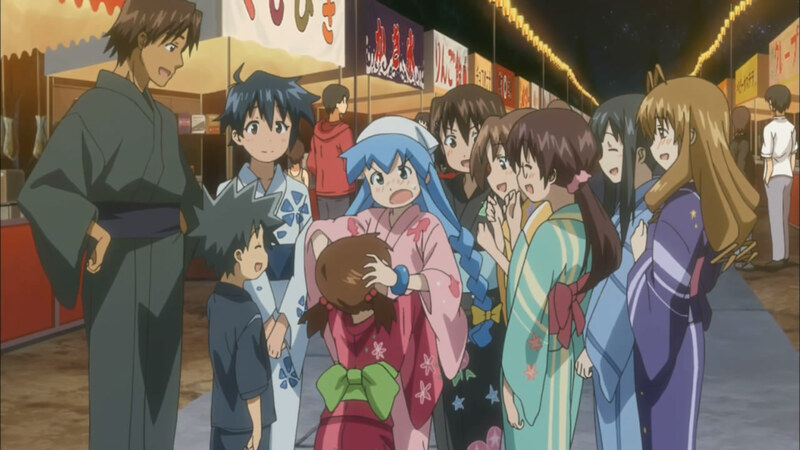 And now that the second season has concluded, let’s evaluate how the continuation of Ika Musume performed. Say, whatever happened to my episodic posts on Shinryaku!? Ika Musume? Well, it’s sad to note but these past couple weeks have seen a significant reduction in my amount of freetime meaning something had to go. And well, Ika Musume just happened to be the unlucky one. That doesn’t mean I stopped watching the show, just I can’t type up my thoughts, analyses, or tangents on Ika Musume every week like I have been. Instead, it’s going to be included in my weekly reviews meaning you’ll see it here from now on. There is a slight chance that it may go back to episodic posting once I have more time but for now, it’ll be a part of these posts. Chihayafuru, Future Diary, Idolmaster, Ika Musume, Mawaru Penguindrum, Mirai Nikki, Persona 4, Tamayura, The iDOLM@STER, UN-GO, Weekly Anime, Working!! 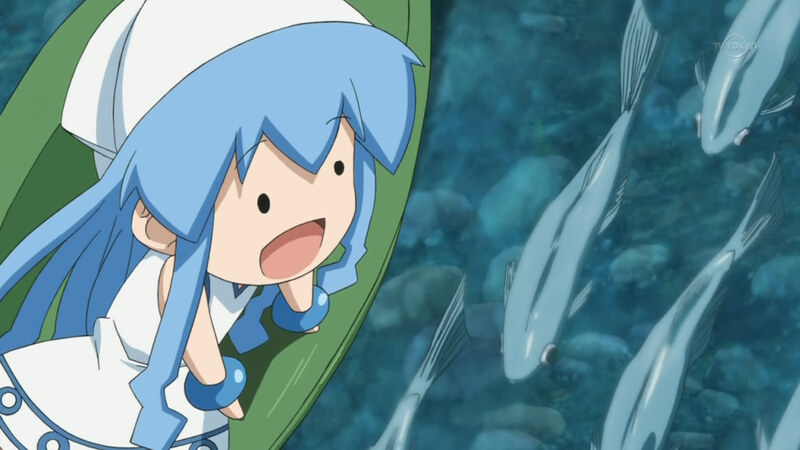 I love those Mini Ika Musume skits. No, it’s not just because they’re always so freaking adorable that I feel all warm and cozy inside each time. That certainly helps but it is not the main reason why I get excited every time our tiny heroine gets caught up in a new adventure. What I like most about the Mini Ika Musume skits are the entirely different feel it has from the rest of series while still being effective in its laughs and appeal. Our zany and simple-minded squid invader certainly enjoys the company of humans and our lifestyles and activities above the surface. And she hasn’t receded her ambitions of conquering mankind either, still actively pursuing her goal in every episode. But she never has any feelings of internal conflict or ambivalence over her simultaneous and contradictory opinions toward these subjects. She can’t be friends with humans if she also wants to invade mankind. So if Ika Musume had to choose between one or the other, which would she select? What helps keep the comedy fresh and entertaining each week are a multitude of factors, including the story, script, characters, and blah blah blah you already know that. But Ika Musume frequently does something that many comedy anime fail to even try to do and that’s play around with role reversal. 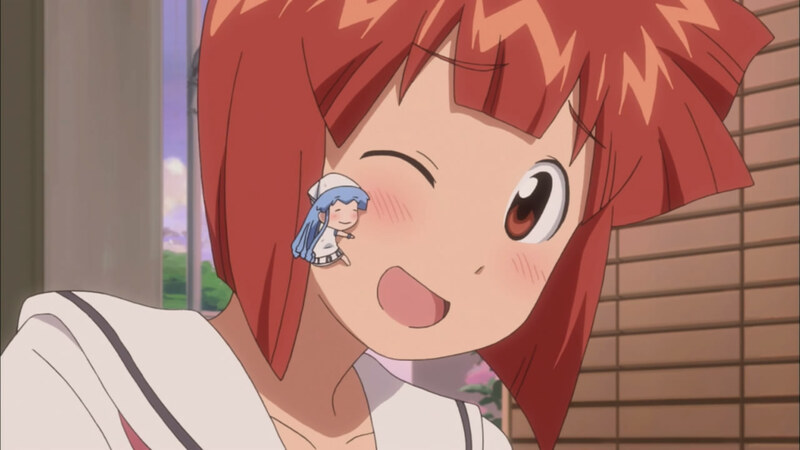 The versatility in the cast of Ika Musume allow the show to switch up characters to create new dynamics for provide different approaches to its comedy. 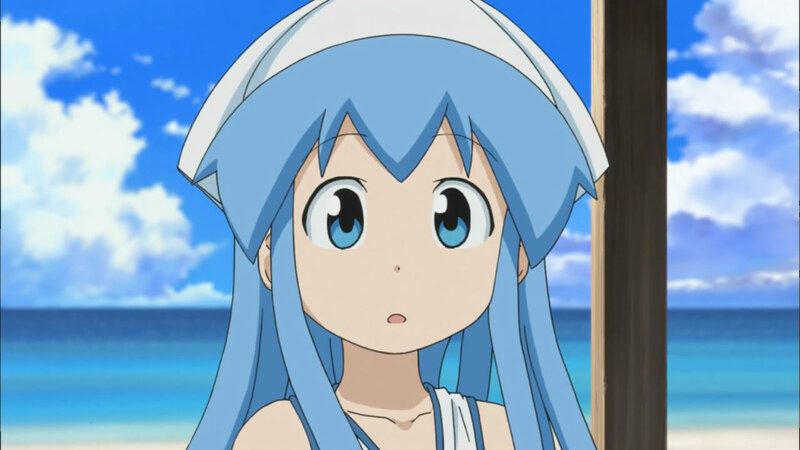 Is it ironic that Ika Musume invaded the surface to liberate the oceans and topple mankind, yet, through inquiring and imitation, she is slowly becoming human herself? Or perhaps is it clever that she goes through this gradual transformation? Ika Musume’s natural curiosity in everyday activities is a driving force behind the stories and comedy in Shinryaku!? 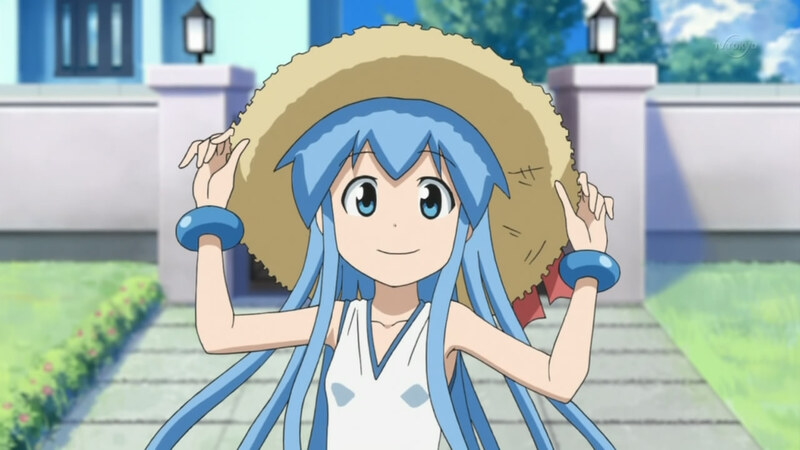 Ika Musume. Her fascination and energy turn simple, ordinary events, like going to elementary school or losing weight, into exciting and entertaining skits. Furthermore, it’s not just an outsider’s examination and commentary on these subjects, there’s always a unique hint of zest that spices up each skit for a complete comedy every time. You are currently browsing the archives for the Shinryaku! 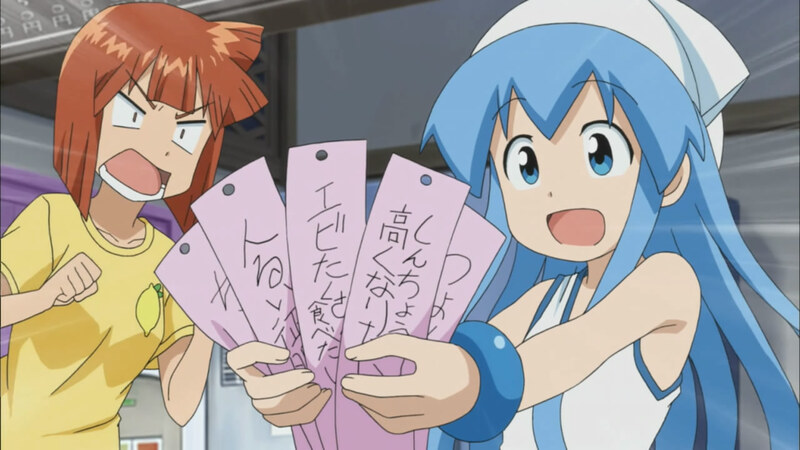 Ika Musume category.